A Tale Of Two Trees Intro: The Day I Didn’t Shower – Stew Rd. Then breakfast: Biscuit and gravy, chicken biscuit or cereal when I get home? Just a few simple choices – mostly inconsequential, unless biscuits and gravy become a weekly event, and then I will be shopping for some new, slightly-larger pants. Choices are everything. Choices define us. Choice is the very reason you are alive on this planet. The power of choice is what makes you more than just an inanimate object or a machine devoid of ability for anything more than to perform tasks and functions. Choice gives you the power to enjoy or despise, love or hate, to quit and retreat or fight and overcome and, most importantly, to set the course of your life. 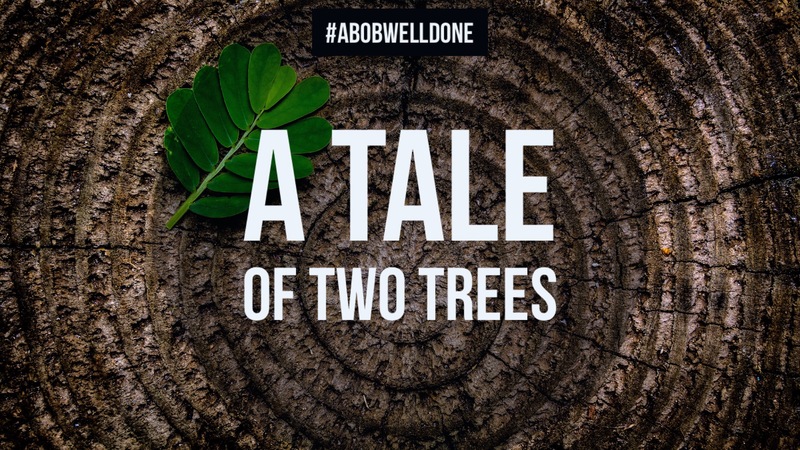 The tale of two trees is a story of one choice made a million times over a lifetime. I want to invite you along in this series of A Tale Of Two Trees and see where it leads. As always, thanks for reading!